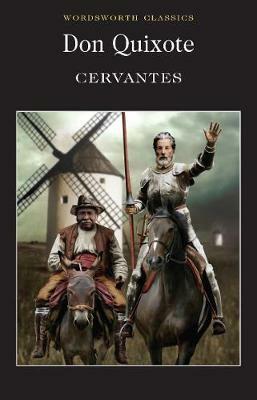 Cervantes' tale of the deranged gentleman who turns knight-errant, tilts at windmills and battles with sheep in the service of the lady of his dreams, Dulcinea del Toboso, has fascinated generations of readers, and inspired other creative artists such as Flaubert, Picasso and Richard Strauss. The tall, thin knight and his short, fat squire, Sancho Panza, have found their way into films, cartoons and even computer games. Supposedly intended as a parody of the most popular escapist fiction of the day, the `books of chivalry', this precursor of the modern novel broadened and deepened into a sophisticated, comic account of the contradictions of human nature. On his `heroic' journey Don Quixote meets characters of every class and condition, from the prostitute Maritornes, who is commended for her Christian charity, to the Knight of the Green Coat, who seems to embody some of the constraints of virtue. Cervantes' greatest work can be enjoyed on many levels, all suffused with a subtle irony that reaches out to encompass the reader, and does not leave the author outside its circle. Peter Motteux's fine eighteenth-century translation, acknowledged as one of the best, brilliantly succeeds in communicating the spirit of the original Spanish.